I cannot bring myself to read funny books. That is somehow not me and neither has it struck a deal with me in the past couple of years, despite trying so hard. And then a friend told me of this book called “You Can Never Find a Rickshaw when it Monsoons” by Mo Willems and it was the kind of book that made me laugh out loud so much so that I had to borrow it from (which again is mostly against my grain of never borrowing, never lending) her and I loved the book! I had heard of Mo Willems earlier as a children’s writer but this was the book that was published before his children’s books became famous. 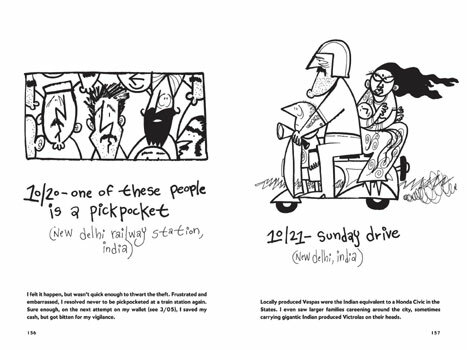 “You Can Never Find a Rickshaw when it Monsoons” is a travel-diary in the form of graphics and doodles and cartoons that the author experienced as he travelled almost around the world. 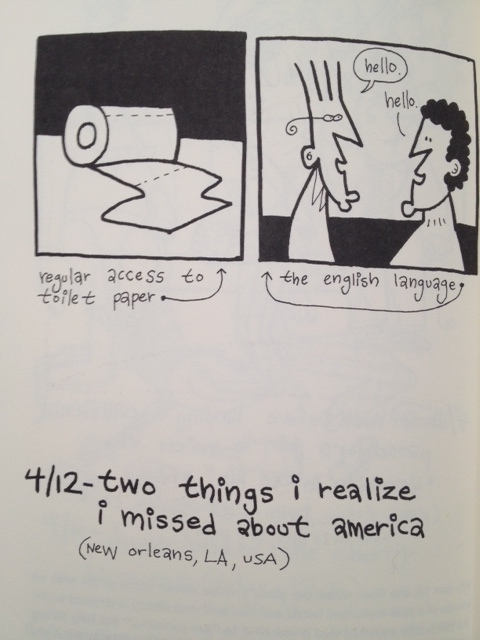 The book has funny and unique experiences that he went through while travelling to several places and meeting different kind of people. The book is a delight in the sense that it is satirical, humorous and at the most laugh-out-loud as well. I absolutely loved the doodles and that’s how you can see Mr. Willems grow from being a cartoonist to an illustrator when it comes to his children’s books. 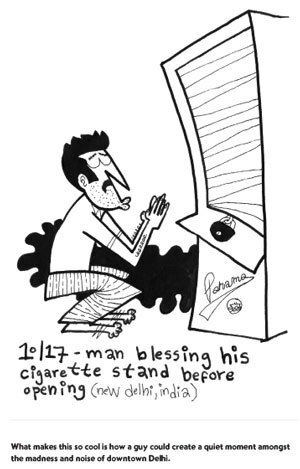 The book is a travel diary in the form of cartoons, each for one day of the year and that is what makes it so different and quirky, given the illustrations. I strongly urge you to read this over the weekend. 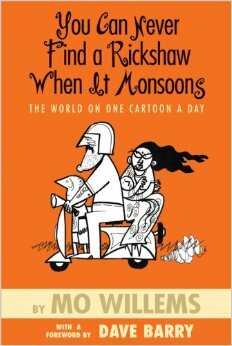 This entry was posted in Authors, Authors I Love, Books, Graphic Novel, humour, Mo Willems, Review, Travelogue and tagged comics, Graphics, humour, Hyperion Books, Mo Willems, Tours, travel, You Can Never Find a Rickshaw when it Monsoons on April 17, 2015 by thehungryreader.